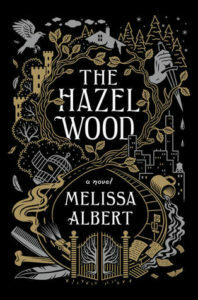 The Hazel Wood is atmospheric, whimsical, and detailed. Reading it was like living inside a Tim Burton inspired Alice and Wonderland (except darker and WAY more my style) in a parallel Every Heart a Doorway universe. Let me first begin this review by saying the atmosphere is 100% there for me. I loved the writing style. It was whimsical, and lyrical, and detailed. There was a great balance between details you needed to build the picture in your head, and details that enhanced the imagery. At times I was lulled by the beauty of the word choices, and at other times I was swept up in the rhythm of the story. So I knew I had to start my review by gushing about how much I loved the writing style. Continuing onwards and forwards. I loved the idea and fantasy of this story. It was darker than I was expecting in the BEST of ways. The mother/daughter relationship was fraught, vulnerable, and genuine. Albert brings in the sexism in the smallest of touches. And I loved this one conversation about privilege too! GIVE ME ALL THE LITERATURE REFERENCES. And based on them, Albert and I should be friends, just throwing this out to the cosmic universe. And the little details, you know I’m a sucker for those, were ON POINT. The cover is amazing and so meaningful once you realize the significance. The chapter headings were a beautiful touch. Overall, the book is wonderfully whimsical and quirky and also self reflective about the nature of stories and the ways they are kept alive in our hearts. 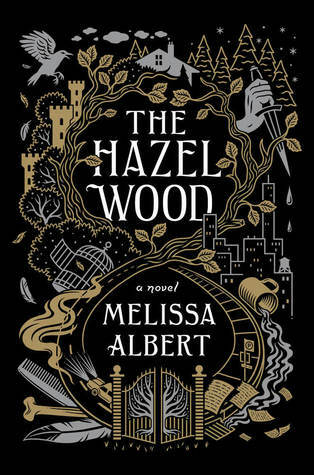 Make sure you pick up The Hazel Wood on Amazon(US), your local indie, and add it to Goodreads. I loved the writig style of this one too — the creepy factor was right on point. It is so beautiful and wonderful!